The biggest question that techies are asking themselves is what hardware will be unveiled at the September 10 Apple press event? General consensus among technology bloggers and insiders is that it will be about mobile devices and headlined by the new iPhone. 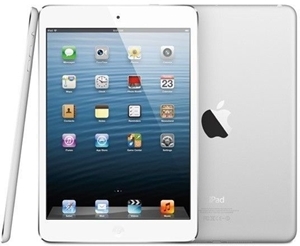 There has also been speculation about new versions of the iPad, iPod and Apple TV. As we inch closer to the date, more information is starting to come to light. According to multiple Apple related blogs, both the iPad and the iPad mini will be featured at a separate event, possibly in October. That would mirror what the company did last year, when the iPhone 5 was unveiled in September while the iPad mini and fourth-generation iPad were introduced in October. Many of the blogs are citing Jim Dalrymple, who runs the blog The Loop and is considered one of the most well connected Apple insiders there is. He has a simple post responding to a Bloomberg report that mentioned the upcoming event would feature both iPhones and iPads. Dalrymple wrote "Nope. No iPads." While this doesn't officially narrow things down—considering Apple is traditionally very secretive and will not unveil anything until Tim Cook is on stage—it is a good indication of what could be coming down the road. This is also going to add pressure to IT departments around the country, as more companies will now need to be ready for multiple waves of new devices that must be incorporated into the companies technology systems. An IT consulting firm that specializes in Mac Integration and iPad deployment can become a valuable asset to get through such changes.